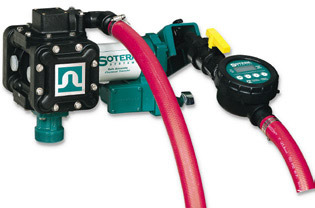 This is a Sotera 115 volt diaphragm chemical transfer pump with series 825 meter. 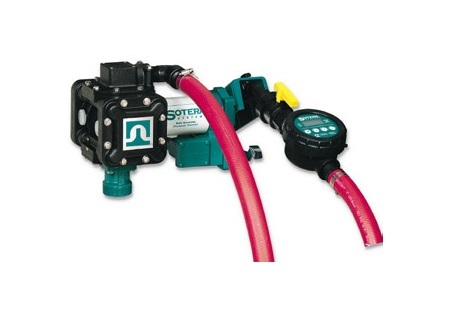 Uses include pumping liquids such as pesticides, fertilizers, mild acids, soaps and water. It features a 10 feet suction lift with 15psi capacity that can handle up to 0.1 diameter solids. Extra thermal overload protection is provided with 130 degree Fahrenheit max temperature.